The opening scene of Amazing Grace, which is about the campaign for the abolition of the slave trade, is overwhelmingly compelling. A peasant pitilessly beats up his horse as it lies down on a muddy country road under a heavy downpour of rain. The resonance with Crime and Punishment by Dostoevsky is immediate; in the novel, the drunken peasant Mikolka overworks and beats to death his mare, and as he does so, he shouts at the onlookers: “It’s my property!” This reference is most appropriate. Those involved in the campaign came together in 1787 to form the Society for Effecting the Abolition of the Slave Trade. 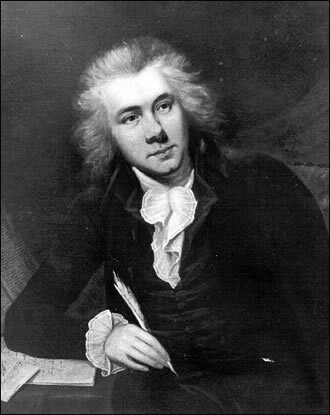 The protagonists of the fight were William Wilberforce, a British statesman and reformer who led the abolitionist campaign in the Commons, Thomas Clarkson, who acted as a sort of travelling agent, gathering evidence, distributing pamphlets and tracts, etc., and members of the so-called Clapham Sect, a group of evangelical Christians who were actively engaged in the political and social problems of their time. The efforts of the abolitionists gave rise to two nationwide petition campaigns. In the first campaign, in 1788, over 100 petitions against the slave trade were presented to the House of Commons over just three months. Later, in 1792, the campaign was even more ambitious: 519 petitions were presented to the Commons, and although the industrial north was the most enthusiastic supporter of the abolitionists’ cause, every English county was represented, together with contributions from Scotland and Wales. As a result, the Commons resolved by 230 votes to 85 that the trade ought to be gradually abolished. In the meantime, news of the rise of radicalism and of revolutionary violence in France led to a period of political reaction in England. In 1793 the Commons refused to revive the subject of the abolition of the slave trade, in fact reversing the decision which had been arrived at in the previous year. Despite opposition due especially to the vested financial interests in this heinous trade at the time, the abolitionists resumed their fight. In 1806 Lord Grenville made a passionate speech stating that the trade was “contrary to the principles of justice, humanity and sound policy”. When the anti-slave trade bill was voted upon, there was a majority of 41 votes to 20 in the Lords and an overwhelming majority of 114 to only 15 in the Commons. On 25th March 1807, the Abolition of the Slave Trade Act entered the statute books. Michael Apted’s film fully succeeds in conveying the emotional roller-coaster felt by the abolitionists during the ups and downs of the various stages of their fight, especially the tensions felt by Wilberforce himself as he is torn between faith and politics, between reformism and revolutionary fervour, and between defeatism and perseverance. The historical reconstruction of 18th century England reveals an accurate eye for detail and the exchanges among MPs are delightfully witty and enjoyable. Above all, the cast is brilliant: Albert Finney offers an extraordinary performance as John Newton, the former slave trader, Wilberforce’s mentor, and composer of the well-known hymn Amazing Grace, which gives the title to the film. Also excellent are Rufus Sewell in the part of Thomas Clarkson and the Senegalese composer and actor Youssou N’Dour in the part of Olaudah Equiano, a former slave who actively campaigned against the slave trade and wrote about his personal experiences as a slave. The film, which was previewed recently, is a work in progress and is due for release in March 2007, to mark the bicentenary of the abolitionists’ victory.